This footage and edit comes directly from my Vegas travelog video in 2005. 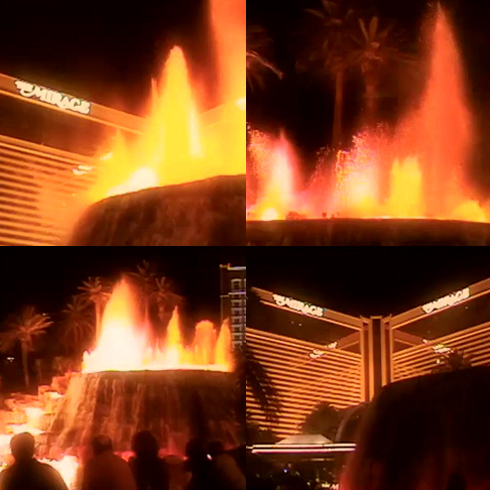 There's not much to explain here really, but if you've been to Vegas you've likely witnessed the volcano erupting out front of the Mirage several times. What makes this noteworthy though is that the famous Mirage volcano is going to be getting an upgrade soon, so it won't look exactly like this anymore. I find it funny how your posts have changed. When you first posted this video you went on about your trip and all sorts of things, I guess it was more of an essay. Now we get a paragraph and I can't wait till its just the video with caption "Watch my motherf*$!ing movie". LOL. Nice video, i'm seen that in person it is pretty cool!